The most important aspect of vision is color perception which involves aesthetic and psychological responses. The aim of this study is to understand the association between color and visual complexity in abstract images. It is hypothesized that, as unintelligibility of colors in an abstract image increase, visual complexity and visual interest will also increase until there is over unintelligibility where both will decrease. Besides, as difficulty in distinguishing the rules and variety of colors used in images increase, visual complexity and visual interest will also increase. Abstract images are selected since they are independent from the visual references in actual world, and are basics of art and architecture. The results revealed that images that were evaluated as visually complex and interesting were the ones that they had difficulty in finding a color harmony and indicate a huge variety of colors to the extent that differentiation between hues becomes very difficult. This work intends to show that the system developed by A. H. Munsell can be of great value in the development of architectural projects when considering color as an intrinsic element of a building. The system can form a bridge between thinking about color in the project, achieving pre-established objectives, and specifying the materials, industry, and construction process. The aim of employing this system is to allow a faithful reproduction of the initially imagined project, based on the search for pre-established harmonic relations. The question that arises is whether the procedures adopted in the field of plastic arts, in the search for a chromatic harmony, are also valid in the application in the architectural project. It requires a conceptualization of harmony, and more specifically, of what harmony would be in architecture, and how a system of notation like Munsell’s can aid in the development of the project. Munsell crayons were discontinued in 1944 but the concept of the color wheel is still a part of Crayola to this day. We examined an old set of Munsell crayons to see if they still hold their Munsell designated principle hue. Part of the crayon was melted and measured using a spectrophotometer. The resulting spectra was compared to the corresponding principle hue from the Munsell color atlas. A psychophysical experiment was also performed where a group of observers tried to match a crayon principle hue to its Munsell color atlas value. The observers were also tasked with trying to match a Munsell crayon with a Crayola crayon. The results of the experiment show that some Munsell crayons can be replaced with a Crayola version. It also showed that some Munsell crayons stood the test of time and still match their atlas value. This study selects color samples that represent the color trend in fashion and interior design over the past ten years as well as the color preferences in fashion and architectural design in 2017 in Paris. By comparing the color samples in NCS system, this paper argues that color palettes in fashion may not directly influence architecture itself on either interior or exterior color decisions based on studied samples. However, through analysing an urban design case in Pigalle, Paris, this paper attempts to find how color palettes in fashion interact with the environmental color design in this case. This paper argues that unlike architecture, some architectural environments, such as small-scale urban spaces are more flexible with color decisions and are more likely to have positive responds to different color schemes. The conditions and rationales of allowing these interactions between colors in fashion and that in architectural environments will be discussed. Th-5 Chemical Colorants’ and Synthetic Fibers’ Influence on the revisions of Munsell’s "A Color Notation"
This poster presentation examines the background of revising A. H. Munsell’s A Color Notation from the viewpoint of color culture in order to clarify the change in intention of various editions. The central aim of this presentation is to uncover the cause of the change in this book’s various editions. The 7th edition of A Color Notation, which was published in 1926, differs greatly from other editions in terms the figures, contents, and page number. After World War I, vivid colors have been used in fibers, foods, products, printing, and paintings using chemical pigments, and Munsell’s coloring theory have become obsolete. In this presentation, in particular, the diffusion of chemical dyes and synthetic fibers around 1920 and the evolution of these saturations will be examined by focusing on the influence on the contents of "A Color Notation". Th-6 Colour IIliteracy - an Unnecessarily Problem!? Colour illiteracy is harming colour communication. 3. Create a bridge between various ways of presenting colour. This ”ABC-book” should serve as an introduction as well as an overview. One can compare with a globe presenting our Earth. Such a globe has no details, is incomplete and to some extent even incorrect. But it provides a good common start for all subjects related to geography; traveling, climate change or political history etc. How could the world be understood, if represented only on 2D flat maps? The course Colour – Light – Space at the Aalto University School of Arts, Design and Architecture, Espoo, Finland, aims at disseminating an in-depth understanding of the possibilities and role of colour and lighting in our built environment. Central pedagogical methods are learning-by- doing, real-life cases and collaborative learning. Lectures are based on past and ongoing research and scientific literature on the subjects of perception and experience of colour and light in space. The main assignment of the course is a real, on-going architectural project on which the students can test and develop their skills in colour design. Other assignments involve visual and multisensory analyses of existing spaces, their atmosphere and sense of place. These assignments are supported by lectures by colour and lighting experts and excursions to companies and urban environments. The VCU Mapping Color Project is a collaborative effort between art and physics faculty to create interactive three-dimensional color visualization software. The software uses these three parameters to display color location and relationships. To provide greater accuracy and specificity, the color-space identification system plots a color numerically on a Cylindrical Cartesian coordinate system, using percent (0 percent - 100 percent) to identify Value, a perpendicular scale (0-100+) to identify Chroma, and an angular rotating scale (0 degrees – 360 degrees) to identify Hue. There is a clear need for an interactive three-dimensional software of color space(s) that can display both subtractive and additive color within human gamut space. The software will yield a 3D map and quantitative data analytics of any imported image(s) using the universal language of mathematics. a specific acquisition setting. Future perspectives for the application of ARCA include the improvement of lightness estimation and the expansion of the dataset to images acquired in a controlled environment with fixed light conditions and camera settings. The final stage of the research will be the creation of a web- oriented and open source version of the software and the release of ARCA as a mobile app. Cement tiles is particularly susceptible to intense shade variation. We have observed that there are many factors which influence the tiles coloring, from the way the mixture and the paint are prepared and manipulated to the weather conditions on the day of manufacturing and during the 40 days of the drying process, and even the way the tiles are displayed on the shelves. Partial results have shown that even pieces from the same batch, which are painted the same color using the same pigment, will display some color variation. The wonder of such work is that each piece might be unique, once there is no way to ensure the whole lot will have the same value and chroma. By applying the Munsell System to the colors in the company’s catalogue, this study has aimed to detect the range of possible luminosity and saturation variation, considering such tonality variation as a legit product of handcrafted production. products. As a research methodology the work was divided into three parts: the symbolism of the black color; the analysis of packaging; and the crossing of data between the two first parts with the purpose of discuss relations between the meanings and the different categories of products. We believe that the analysis presented will contribute to emphasize the importance of a conscious and a coherent use of color in packaging design. The ultimate goal of the study is to predict people’s preference for color shifts, in a context of architecture. As a first step, a color graphic icon providing descriptive information about color content and color shift is developed. It is a projection of the color content of each studied indoor scene (before and after change of illuminant and/or glazing) in PT plane of IPT color space after application of iCAM06 algorithm. For communication and interpretation, the color space is split into six color bins. First validation works (color listing and color composition experiments) highlighted that bin boundaries have to be modified to better match people perception. 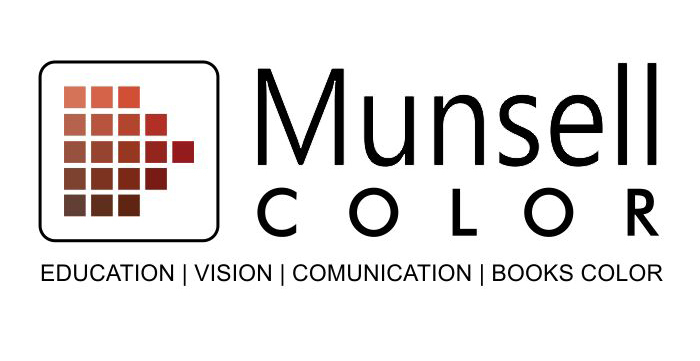 Th-16 Dynamic Color Perception: How Fast are the Munsell Hues? uniform. We conducted an experiment in which we compared the perceived rate of change between dynamic color transitions in chroma and hue directions, and between hue changes in centered at the five principle Munsell hues. Results of the experiment are expressed in terms of ratios of speeds in CIELAB Delta-E per second that represent points of subjective equality between transitions centered at different base colors and in the hue and chroma directions. psychophysical experiment under controlled conditions of visualization. Individuals were asked to select a physical sample associated with one of the 85 connotations chosen in the first part of this research. The test was carried out using the matte collection of the Munsell color book. This research was done with the aim to recognized and reveal the physical characteristics of color samples associated to defined concepts within the Chilean culture.